How To Dye Your Hair At Home? The Most Fashionable Swimwear In 2019! 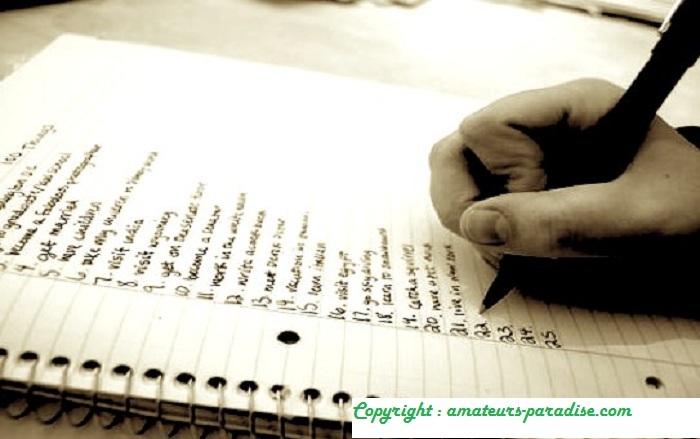 Home » Marketing » How To Write A Listicle That People Like? How To Write A Listicle That People Like? Each form of writing has its established conventions and writers have to know the nature of these conventions as they move forward. From five years to here has emerged a new trend that has been established in our social networks: listicles. This type of texts owes its name to the mixture of two English words: list (lists) more articles (items). As you will realize a listicle is an article presented as a list . 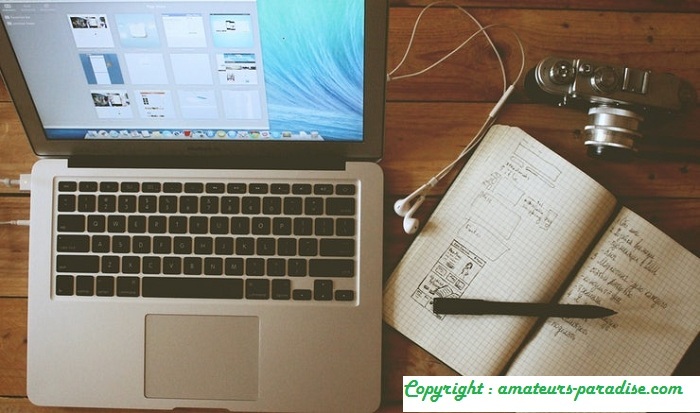 This type of texts is very popular nowadays, the production machines of content have discovered that with these publications it achieves much more traffic and is kept more the attention of the readers. Sounds good, does not it? Less text, more viewing time, leads, traffic … Exactly what any marketer looks for. When it comes to this kind of publications, not everything is color roses. Currently there is a serious debate as many see the listicles as the end of journalism. Beyond an attack on form, those who join the detractors of this trend do so because they consider that websites that only seek to viralizar the content they publish are using elements that lack background, make endless lists with no more than 50 words below each statement, some gif and maybe one or other tweet. They also assert that they use an almost ridiculous segmentation where the formula is to write a perfectly segmented headline: “Problems that only girls with long hair and hair will understand” and then put a list of aspects that generate “empathy” with the reader, all this only with the aim of beating the record in clicks. ListicleJust as there are detractors, there are those who think that well-made represent a key tool that helps save writers time, are useful for busy audiences and are simple to own. They are also great for distracted readers, and of course, they are keys to social networking. The important thing is to do them well. Is making long lists with a few words bad? No Is using animated gif bad? Neither. It is not a matter of establishing positions, but of always respecting the essence and objectives pursued by the blog or website for which it is being written. 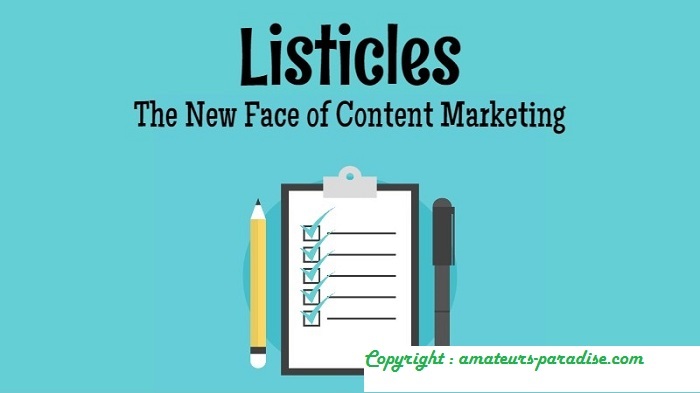 Before you begin consider that the listicles are powerful even for the most serious business, do not stop when creating them for your web, sites like The Guardian, New York Times, and The Economist use it. On the contrary, you have made millions of lists; you just need to connect to media like Buzzfeed to see tons of them. Dedication is the most important thing and what will differentiate your article from a shopping list. Even if you are splitting the content in a list you do not have license to make it loose, without condiment. In fact, since you already have the prepared structure, which usually takes a lot of time, you should concentrate efforts on making each section of the listicle as strong and consistent as possible. Ok now you have the main title, you already have the angle. Now you must connect a story between the 9 headings that will form your listicle. This is not a to-do list where you simply write down what you have to do. One title leads to the other, even though there may be separate reading, if you read it linearly there has to be a connecting thread between one and another point. The list full of small points: this is the traditional listicle and is a good way to start this type of articles. In this case the support of animated gifs or images is used a lot and usually no more than one or two lines are written under each point. “30 things that only the Catalans understand”. Editorial turned into list: This is politics and editorial in all its nature, and it is to argue a specific point, often linked to the pop culture or the news, although not necessarily. “5 facts that the problem between Kim Kardashian and Taylor Swift shows from our society”. One feature we can say that is almost traditional of these items is animated images or GIFs. Our only comment regarding this aspect: be consistent, be creative and always grant the rights to the author of each image. These are just basic guidelines so that your listicle does not become one more of the pile, and see that the pile is already big! Regardless of the format in which you are writing always try to raise the power of the word. Do not underestimate your interlocutor giving him what you think he wants to read, rather refuse to read and dare with issues he would not expect. This format is open to thousands of possibilities, and from the point of view of content marketing is a key tool uses it with cunning and intelligence! Do you mean the UK becoming a tax haven to avoid a national disaster by the Brexit? What is the CAPEX and why is such an important magnitude for SMEs?